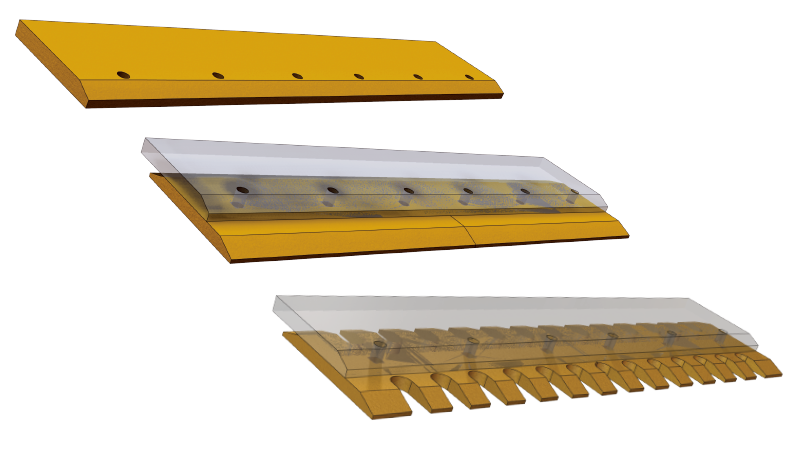 When rebuilding buckets or changing wear edges VBL™ Excavator Base Edges and Blades are the right parts for the job. VALLITE™ heat treated (thru-hardened) weld-on base edges are available for all OEM* equipment, with or without holes to suit whichever wear parts are required. Corresponding replacement bolt-on VALLITE™ heat treated (thru-hardened) blades are available with or without a scarifying “sawtooth” edge profile. *Custom size configurations available on request.